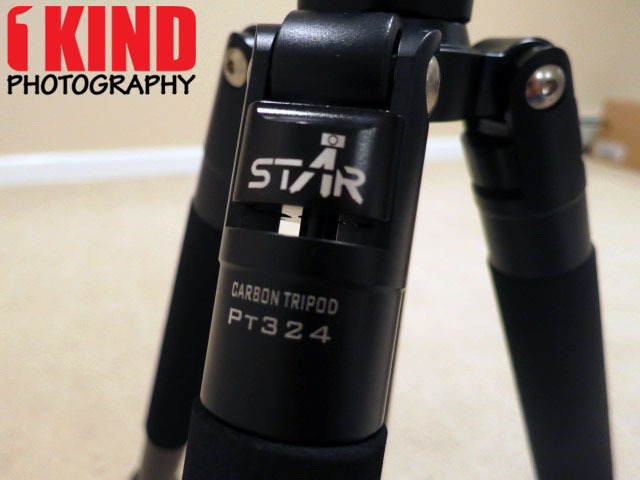 Overview : The STAR PT-324 4-Section Carbon Fiber Tripod is a sturdy but lightweight large-size professional tripod that is perfect for indoor/outdoor shooting. It weighs only 3.7 lbs and is able to support up to 37 lbs photo gear. With the reverse folding legs (with folding length 20"), it can be easily to pack in carry-on bags and backpacks. 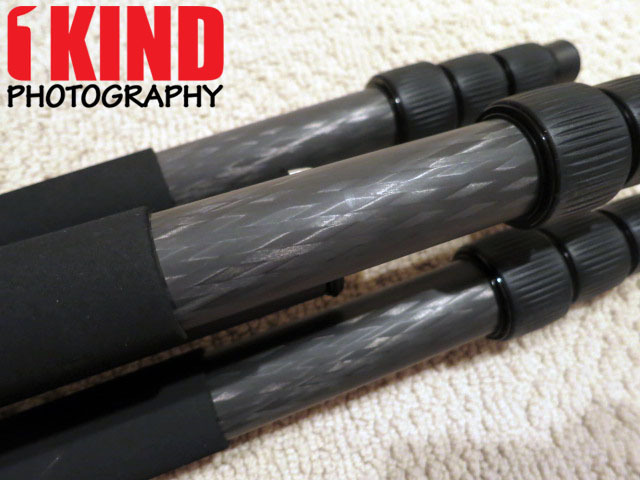 The latest generation of 8-layers carbon fiber tubing makes tripods 60% stronger than conventional carbon fiber tripods. Many other features make the PT-324 an ideal tripod for photographers. 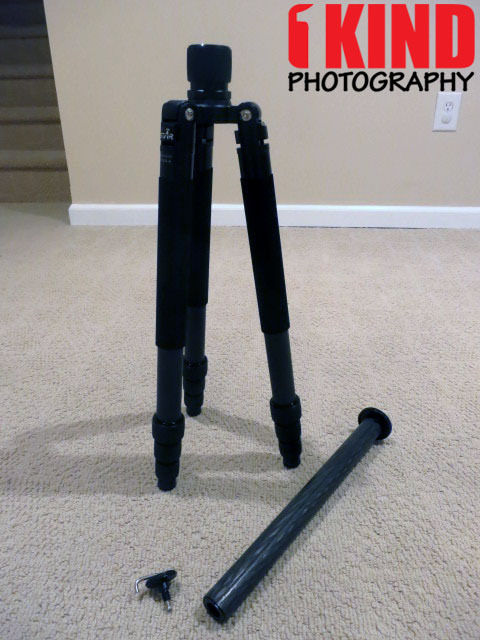 One leg can be disassembled and attached with center column as a monopod in a minute. 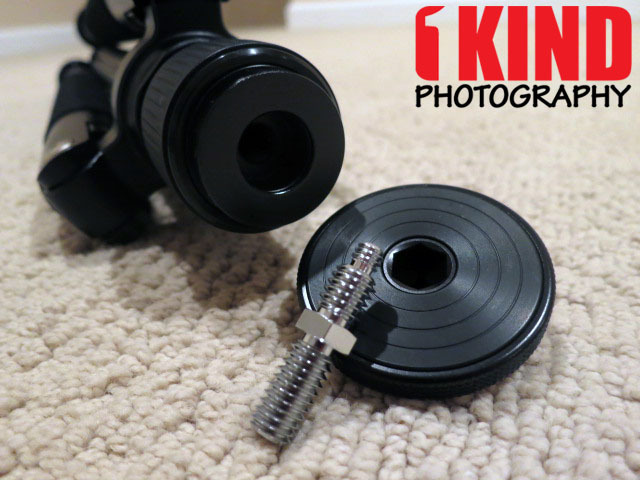 The improved anti-dust lock and twists make tripods easily and preciously to adjust. 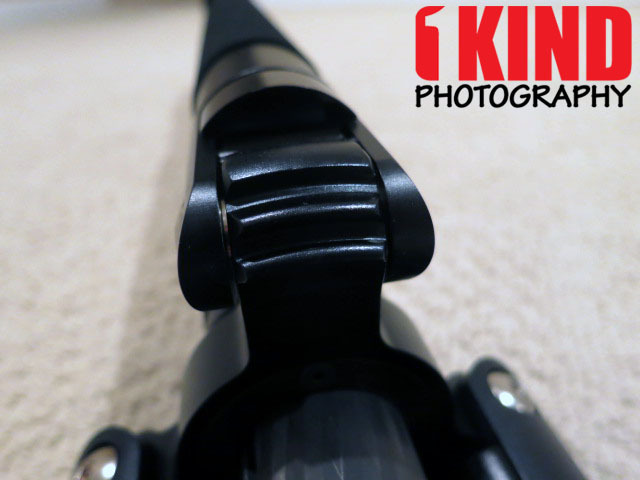 A foam grip assists the photographer to easily grab and carry around. 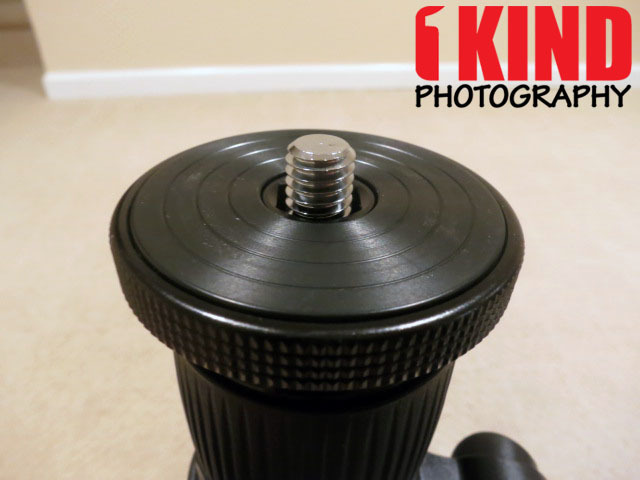 The central column can be disassembled in one minute and convert the tripod to macro photography. The hook under center column allows attaching the ballast for added stability in windy conditions. The included foot spikes work great at loose ground. Supports up to 27 lbs. Quality/Usability : I've been using a Dolica AX620B100 for quite some time and although it was really affordable and worked well, it was time to upgrade to something that was a little more sturdier and lighter in weight. Star Photo USA is an aftermarket Chinese manufacturer. They aren't as big as Manfrotto or other big name companies but after seeing them at PhotoPlus Expo 2012 and seeing their products, it looked promising. 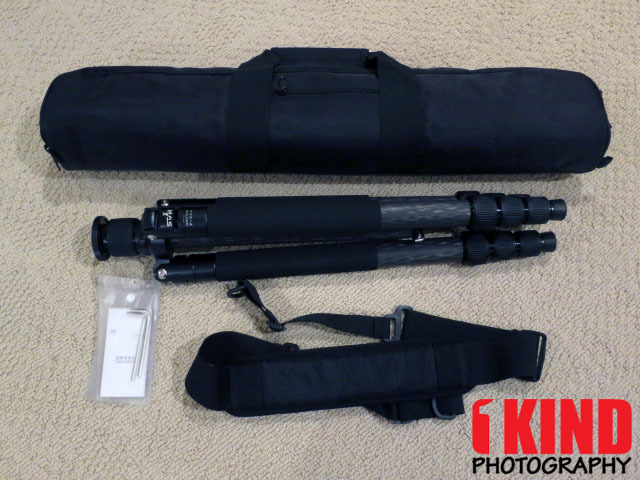 Included with the STAR PT-324 Carbon Fiber Tripod is a tripod, storage bag, shoulder strap, manual and two tools. The instruction manual doesn't tell you much except for the basic information on how to use the tripod. Since it's an overseas products, there's bound to be typos. The STAR PT-324 comes with a soft bag for convenient transport and storage. The outside has a zippered pocket which you can store business cards or documents. One each end of the bag are hooks that lets you connect a shoulder strap to it. 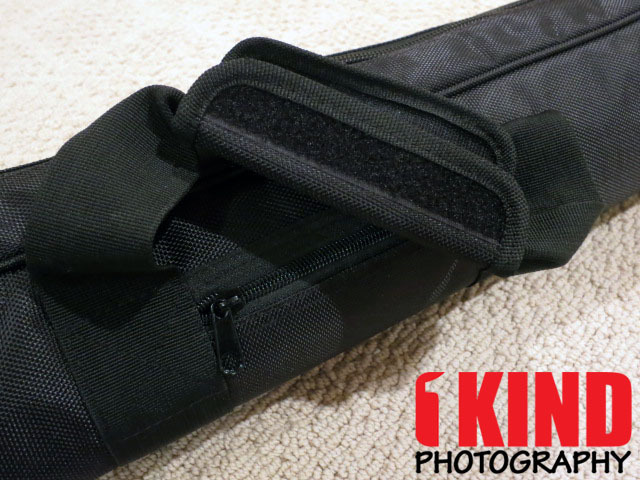 There are also two nylon handles and on one of the handles, it has a padded velcroed closure strap to keep both handles together for easier transporting. 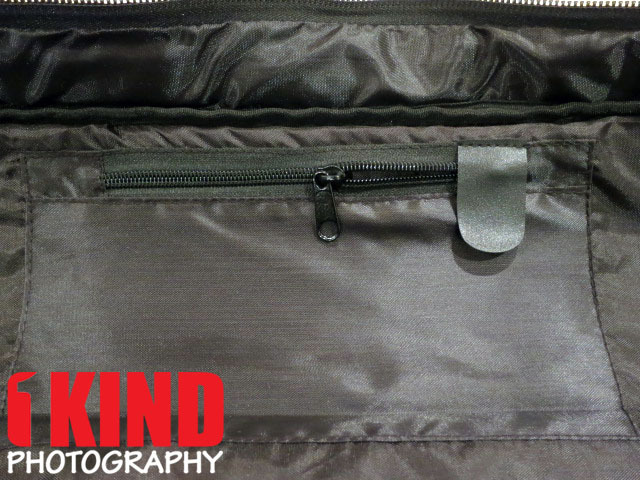 The interior also has a zippered compartment for additional items. 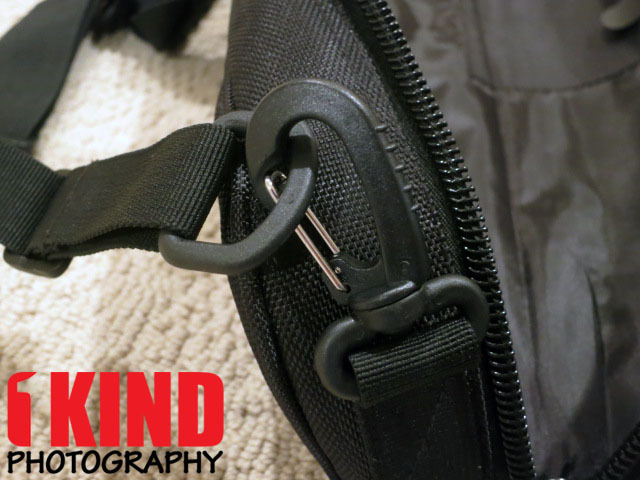 There's also a little flap to prevent the zipper from scratching your tripod. 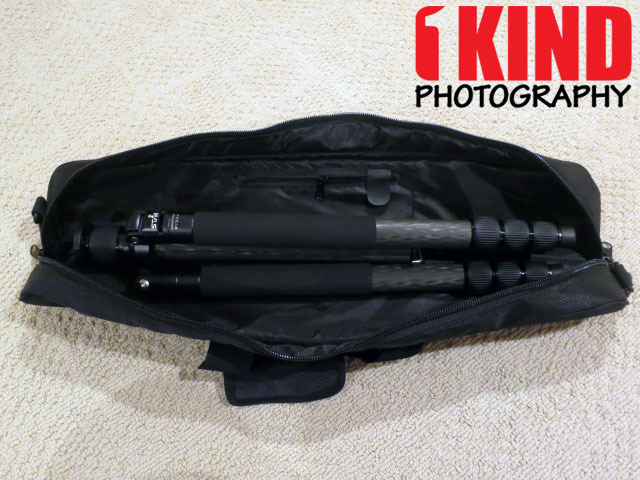 With the tripod placed inside the bag, there are enough space for a ball head or video fluid head when it's mounted to the tripod. High-end tripod these days are made of carbon fiber material. Carbon fiber are very durable, won't corrode and very light weight. The STAR PT-324 is made of the latest generation of 8-layers carbon fiber tubing which makes the tripod 60% stronger than conventional carbon fiber tripods. The twist lock didn't require much twisting before you can extend the legs. According to the manufacturer, the twist lock are anti-dust so you don't have to worry about the twist lock not working or getting stuck because of particles stuck inside. 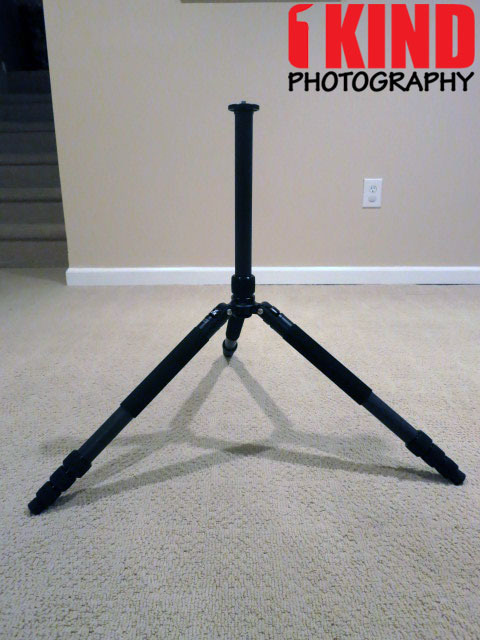 The upper portion of the tripod is made of durable aluminum material. Each leg of the tripod can be adjusted to three different supporting angles which can meet various request of shooting angles. To adjust to different angles, press the angle-adjuster with your finger while pulling the tripod leg to your desired angle. 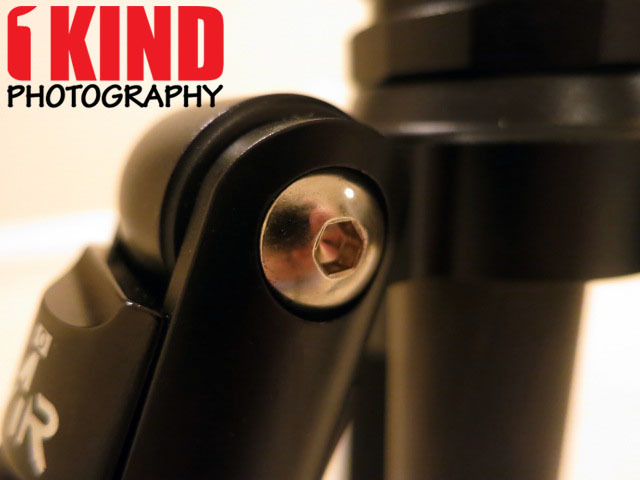 The tool that is included is used to tighten the screws on the tripod leg in the event that it feels loose. The tripod weighs only 3.7 lbs. and can support up to 27 lbs. 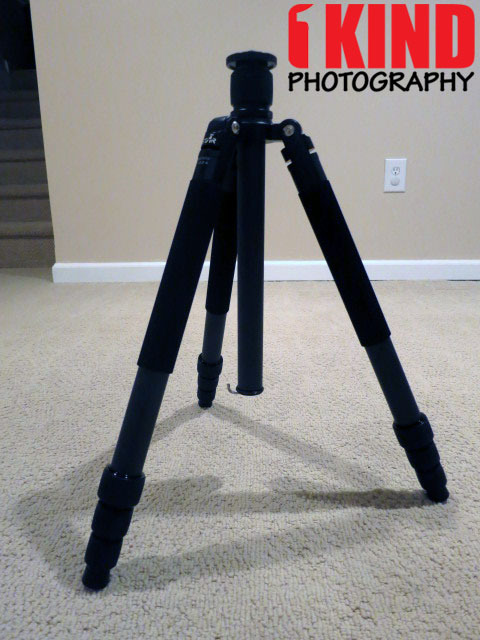 The height of the tripod is a maximum of 69.6" with center column extended and a maximum of 57.8" with column retracted. At it's tallest height with all legs extended, the tripod was sturdy. 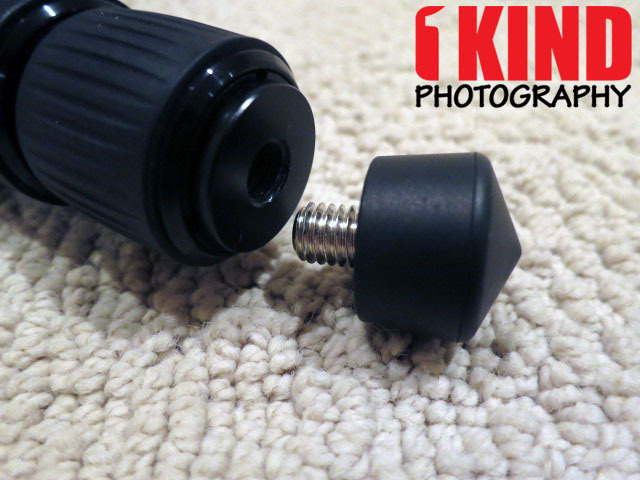 The tripod foot is screwed in and made of durable rubber. Mine didn't include metal foot spikes that allow you to dig into loose ground for additional traction but they are suppose to be included. 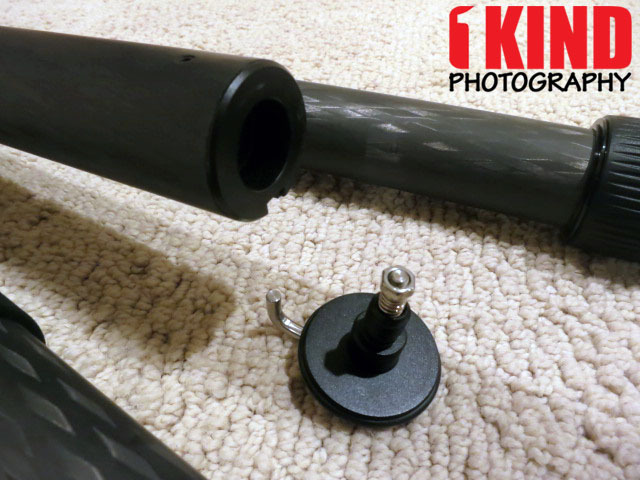 Like all tripods, there is a hook on the bottom of the center column that lets you attach a sandbag or your backpack to give additional stability. 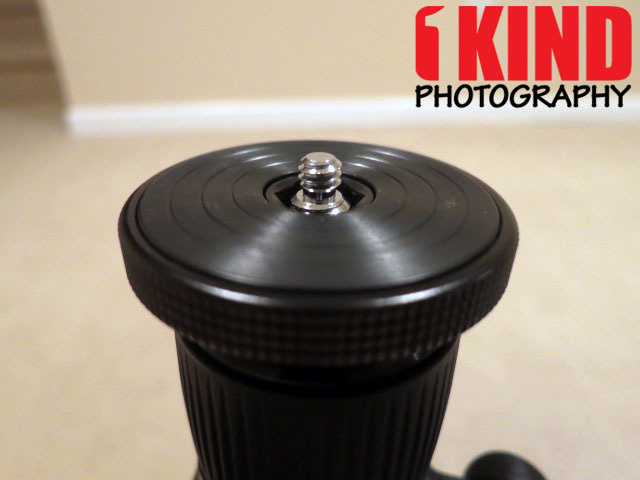 With the bottom of the center mount removed, you can flip the center column and insert it from the bottom of the tripod. Now, you can have your camera hanging upside down if you need a lower shot. A quicker option if you need to get low ground shots is to lift the tripod legs all the way up and turn the tripod upside down. What I like about the ¼-20 ball head screen is that you can remove the base and screw and flip it around to unveil a ⅜ inch mount for Video Fluid heads. 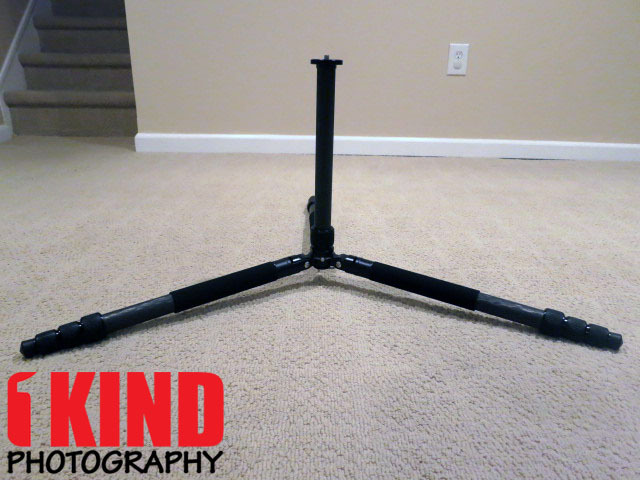 This tripod can accommodate both types without having to deal with additional parts. 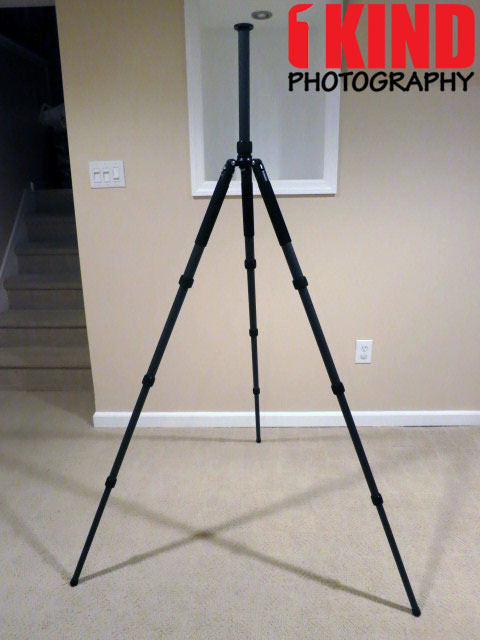 Conclusion : Overall, the STAR PT-324 4-Section Carbon Fiber Tripod is on par with other carbon fiber tripods. There are multiple angles the tripod can be placed. I like the fact that both ⅜ and ¼ is available on the screw mount. The manufacturer claimed that the tripod can turn into a monopod but nothing was stated in the manual and I've tried unscrewing every leg possible and nothing would unscrew. Looking at the pictures online, the leg that does come off has a longer foam handle grip on the leg. With the PT-324, all the tripod legs have the same length foam handle grip. I also didn't received the spiked foot. It doesn't bother me as I won't be using it at all.